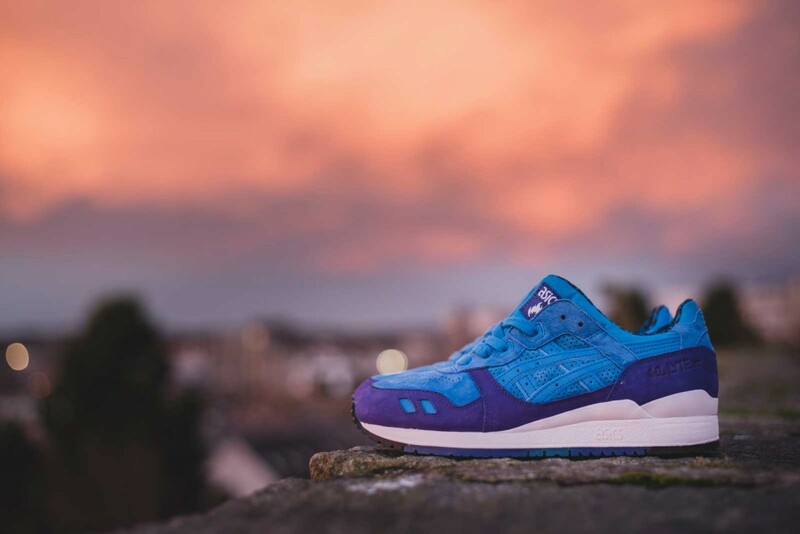 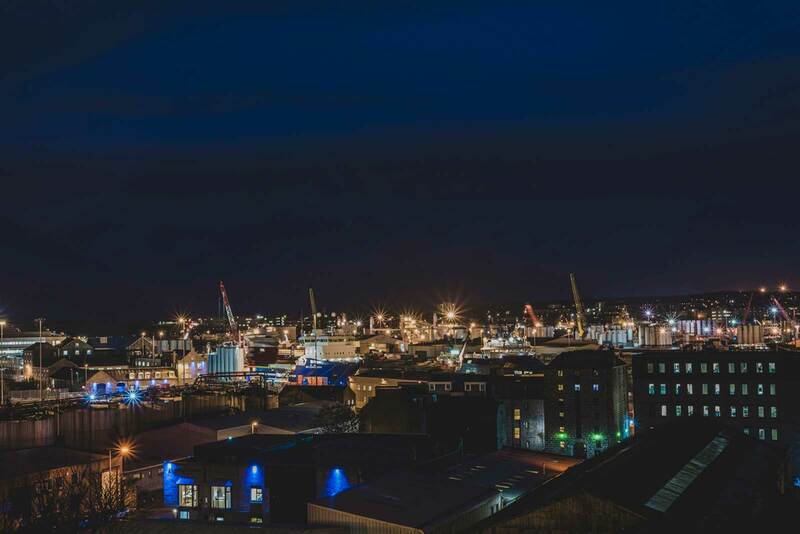 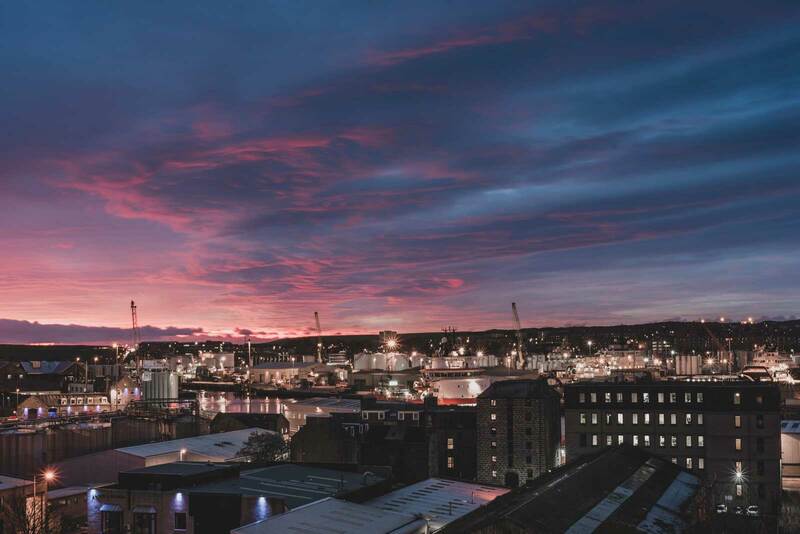 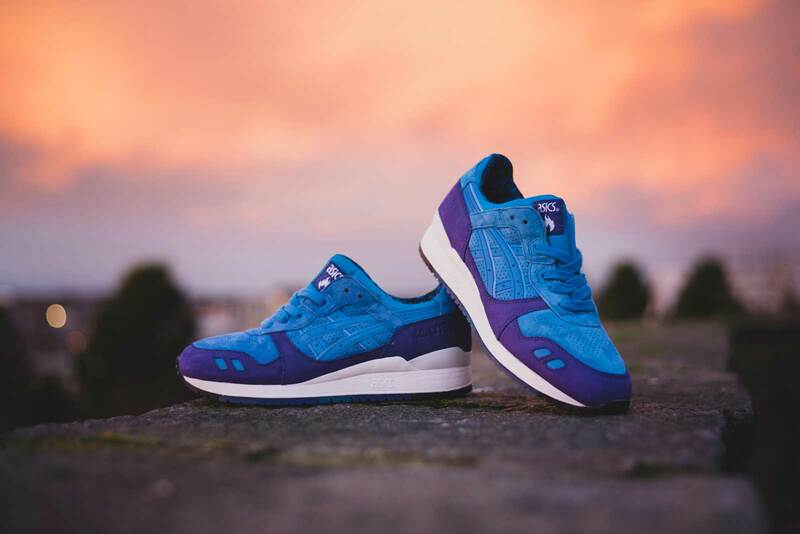 As ASCIS continue to celebrate the 25th anniversary of their iconic Gel Lyte III, the next release will see Aberdeen’s finest Hanon Shop get their turn. 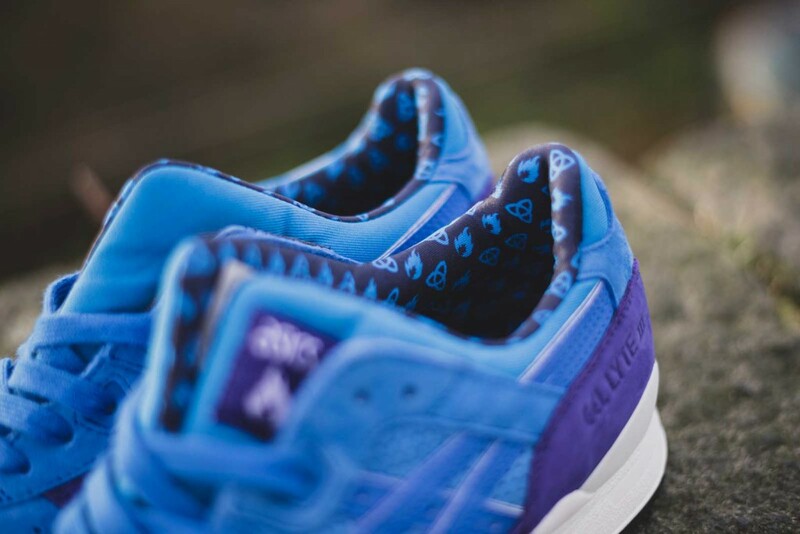 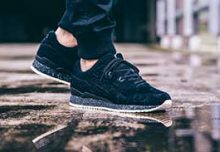 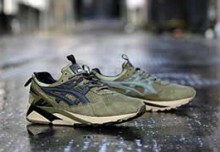 Hanon has chosen to revisit the night sky and astronomical theme seen on previous ASICS collaborations. 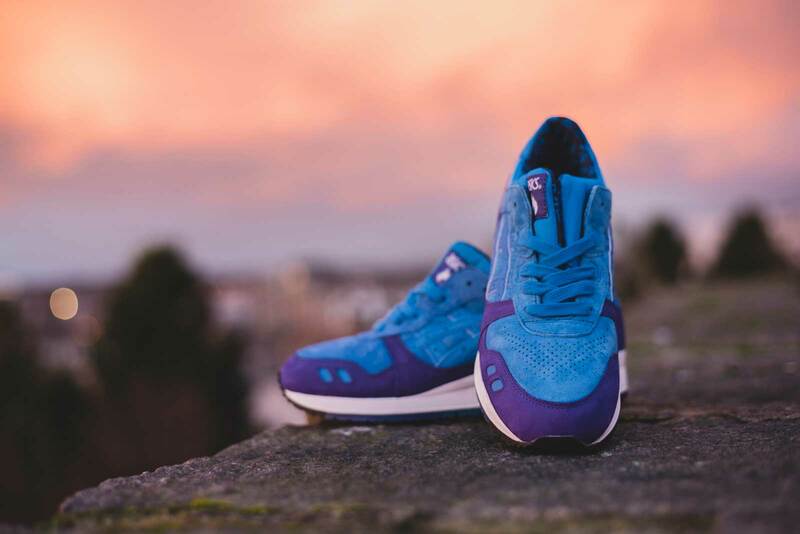 Looking to the stark contrast between Scotland’s dark winter evenings and long summer nights, the design employs deep blue suede and plush purple nubuck throughout its upper as the shimmering lights of the sky influence the use of the reflective 3M underlay beneath the bespoke perforated vamp. 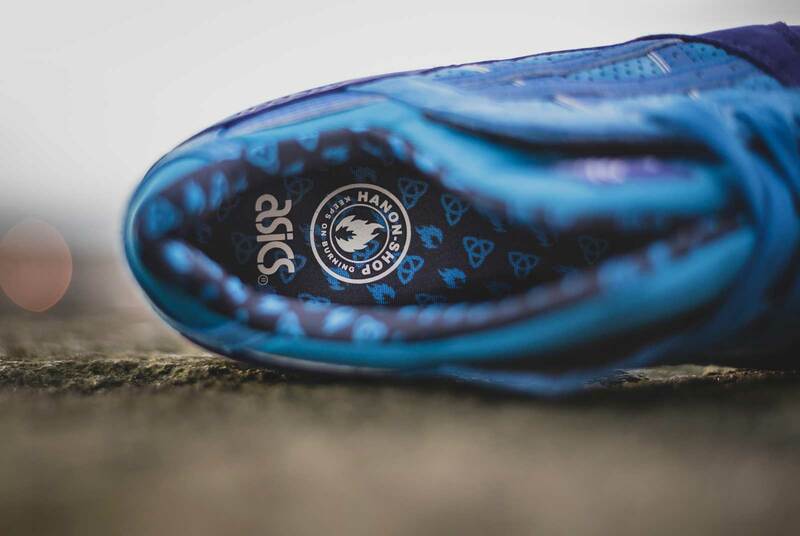 A Celtic knot and flame pattern are featured on the collar lining as a further nod to Hanon’s Scottish ties. 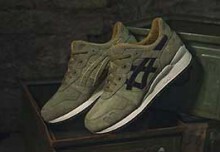 Finally, a co-branded tongue patch, printed footbed and embossed fire accent at the heel are also showcased. 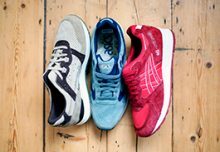 Each pair of the Hanon x ASICS GEL-Lyte III “Solstice” comes with three sets of laces and packaged in a custom box. 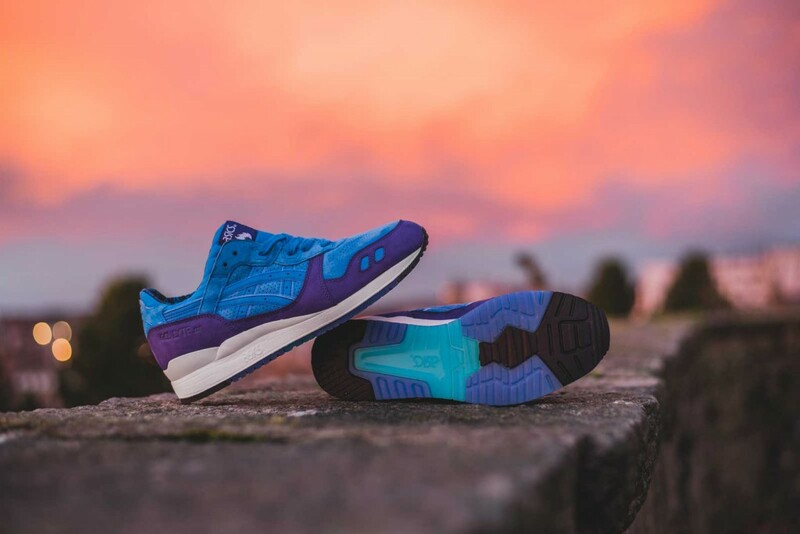 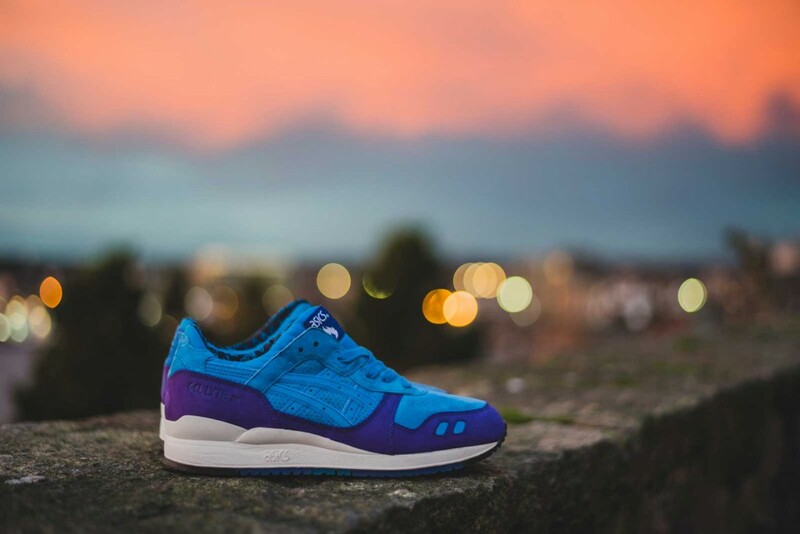 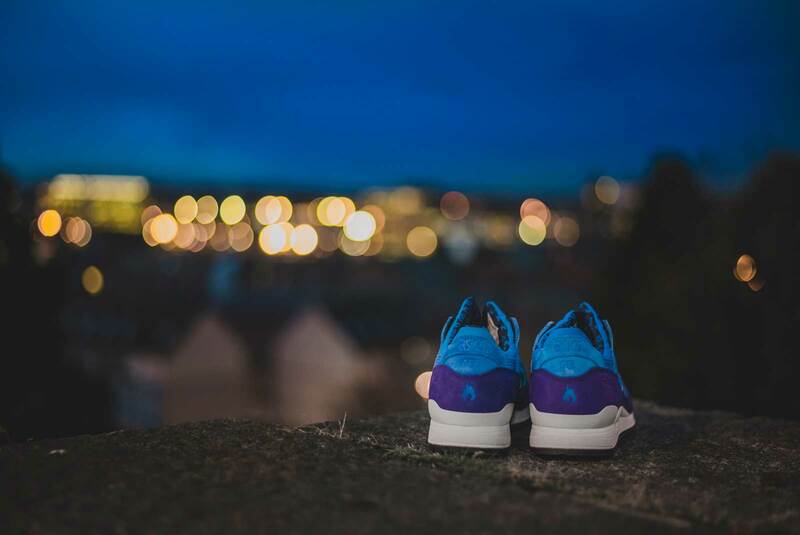 The ASICS x Hanon Gely Lyte III “Solstice” will release exclusively with Hanon shop on Saturday 28th November.